About three weeks ago, Brandin O'Neill, the designer and owner of Webster's Pages decided to become a scrapbooker herself. Have you followed her journey? 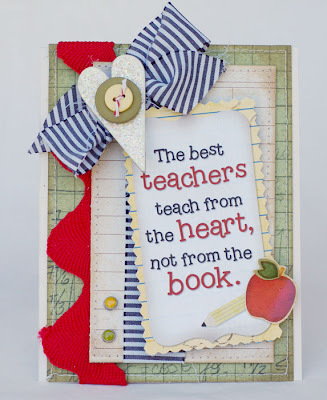 IF not, check out the Webster's Blog. 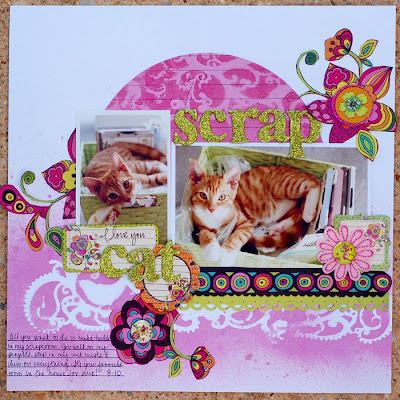 Each week, she's issued a challenge to scrap to. So far, she's made two incredible pages! Seriously, drop dead gorgeous pages. 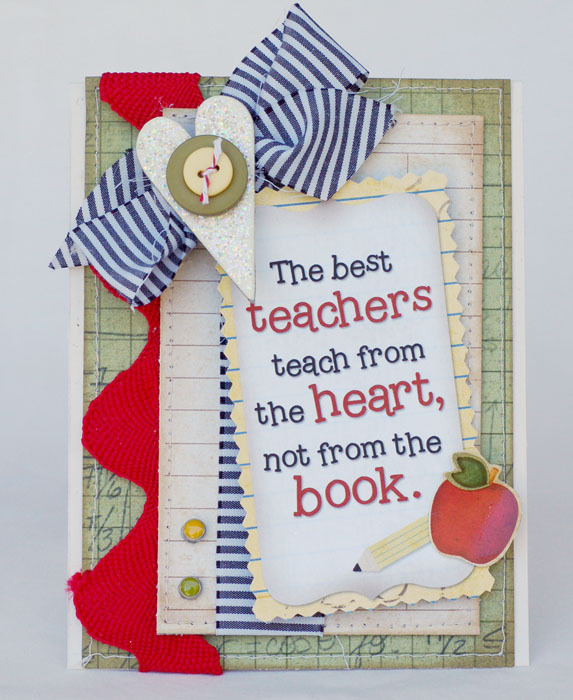 And each week, we, the DT give her some advice. This week, her challenge is to create a card! Well, I was really excited to share my advice with her. 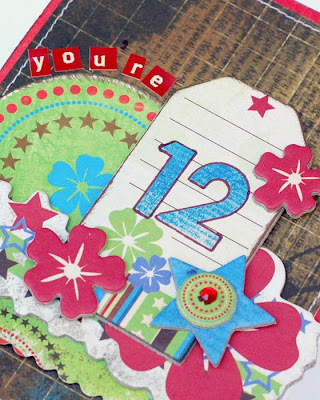 I also made a card to illustrate what I was saying. A couple of weeks ago, we shared our first layouts with her so she wouldn't feel badly. HA! 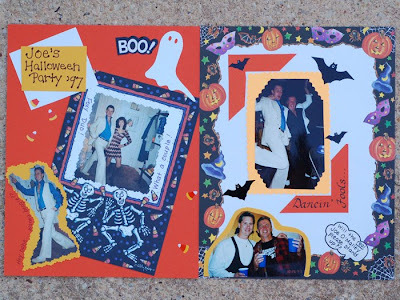 My page is sooooooo dated and just BAD, and her's turned out gorgeous! Have a feeling it wasn't beginner's luck either. 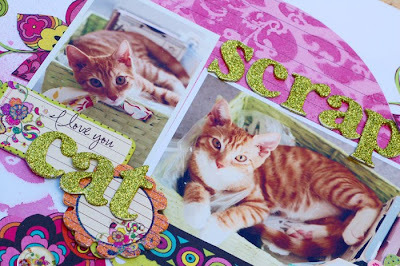 Anyway, I thought I'd leave you with these photos of my first layout. 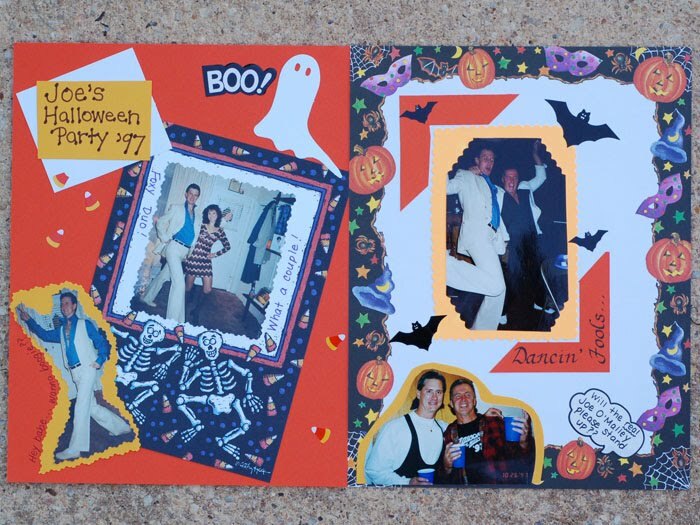 Be sure to check out the cut out photos that I did using the deco scissors. 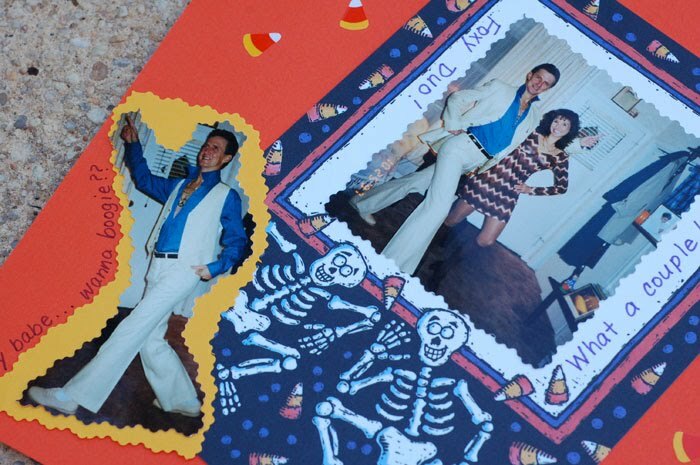 Oh, and that 70's disco suit my hubby is wearing is actually one he owned and used during his studly bachelor days!!! After the craziness of last week, I can finally see the light at the end of the tunnel. Yay! Can it be that my life is going to go from purely chaotic to just randomly crazy? I'll take it! I have a card to share today that was on the Prima blog last week. 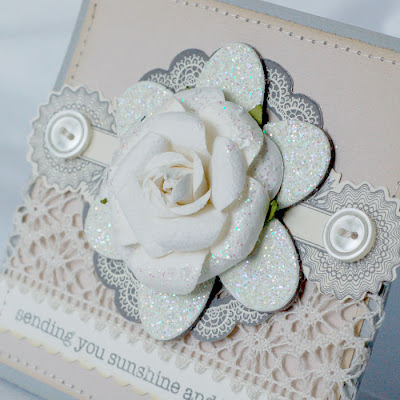 One of the things I love most about Prima's plain white flowers is that you can stamp them and give them a great new look. 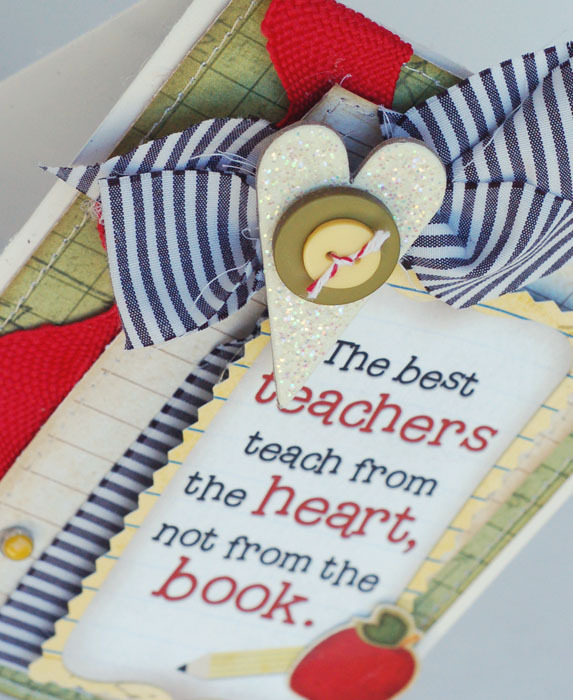 On this card, I stamped them with the text stamp that goes along with the Jack and Jill line. I paired it with some Strawberry Kisses paper. 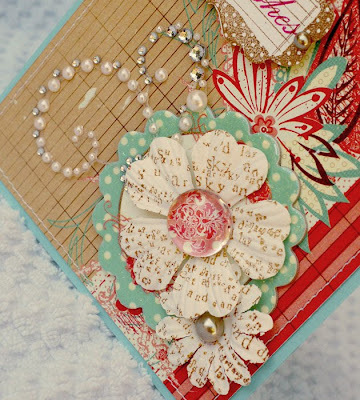 Added pearls, chipboard and a stamped sentiment and it was done! That's it for today. Hope to have a couple of more things I can share later in the week, so stop by. Yay! It's the weekend. :) Another crazy week over and behind me. I'm hoping I can find some creative time over the next couple of days. Color Combos Galore went live yesterday. 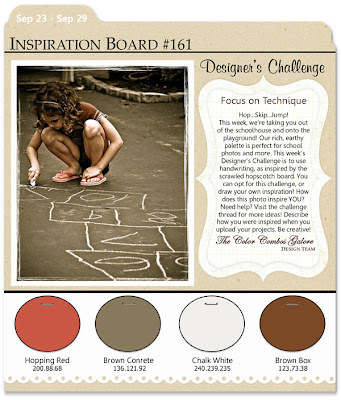 This is a fun combo, especially for fall or school pictures. 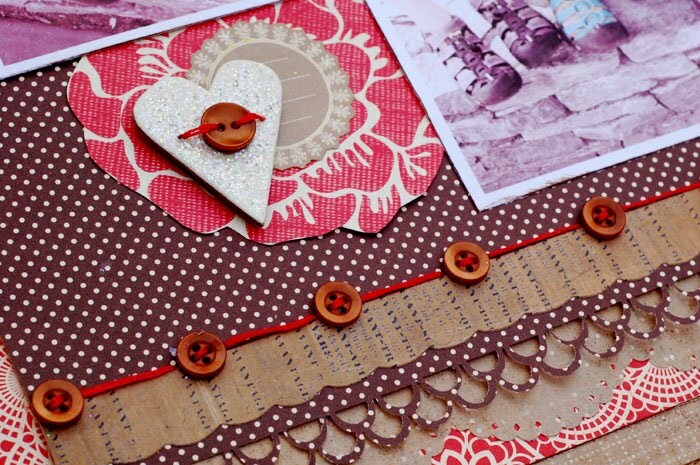 I decided to add texture to this by stitching the button border and adding buttons to the chipboard hearts. And can you believe I didn't add a flower here??? 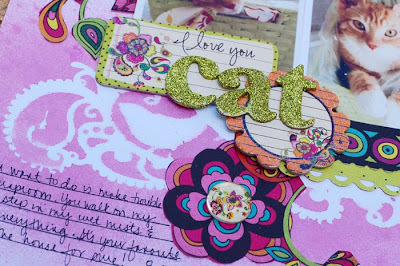 Be sure to stop by Color Combos Galore to see what the other girls did. I finally got my hands on some of Crate Paper's Restoration line and boy am I in love. The colors and the designs are right up my alley. Here's the card I made for Emma's this week. I used Restoration along with a die cut from My Mind's Eye and a Maya Road Kraft envelope. I shabbied it all up with some paint, too. Joy, email me your address and I'll have that issue sent to you! Congrats. That's it for today. Gotta run to work. 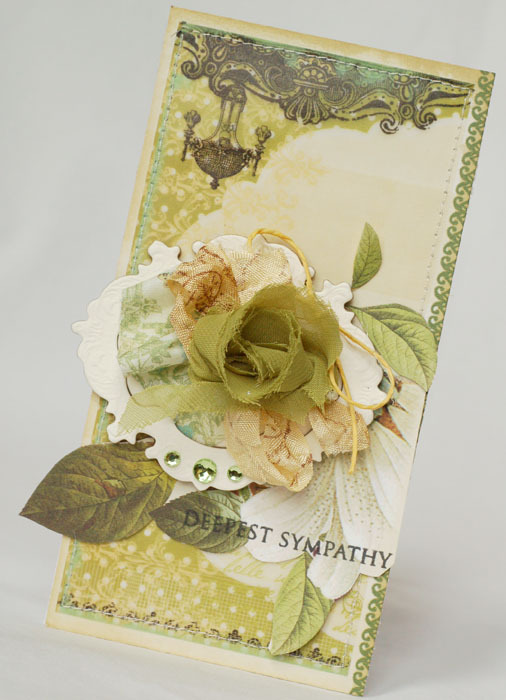 First, thanks to everyone who stopped by for the Paper Crafts blog hop. I loved reading all of your comments! And I've found some new Christmas lines to go check out thanks to your recommendations. 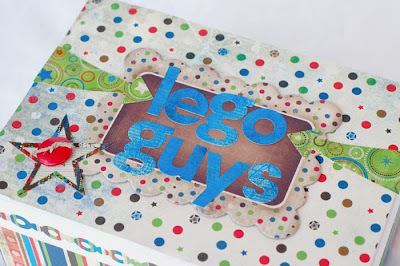 Be sure to check the PC blog tomorrow to see if you are the winner of the Grand Prize. 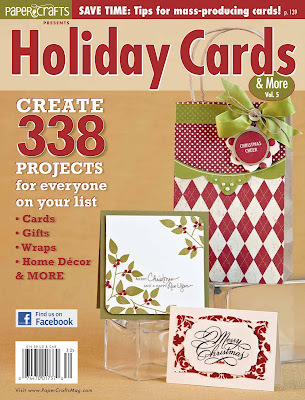 I'll be posting the winner of my copy of Holiday Cards and More soon, too. 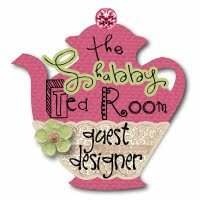 I'm so excited to be back at The Shabby Tea Room this week as the guest designer. 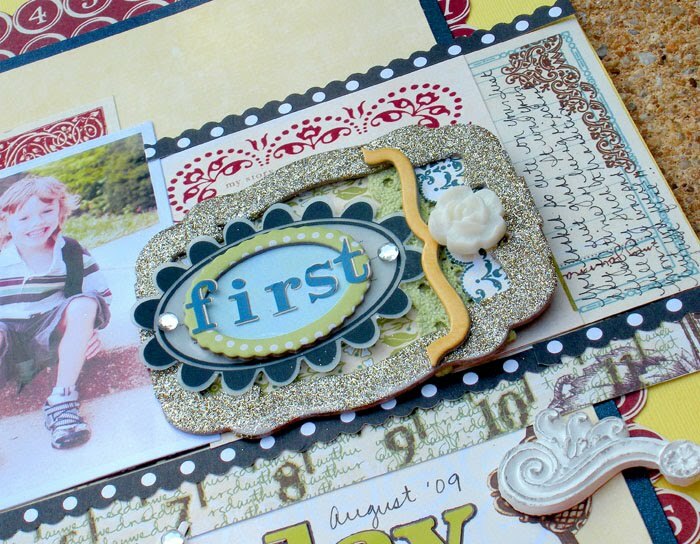 I always love the inspiration pieces that Debbie has and the samples are wonderful! 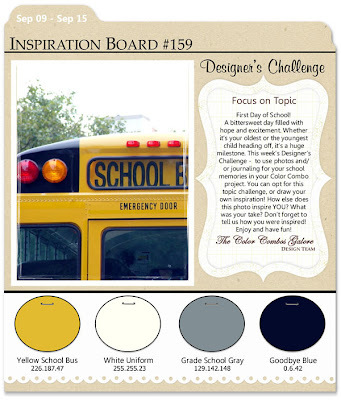 This week our prompt was to create something with a school theme. Well, here's my take. I used Bo Bunny's Learning Curve on it. The striped fabric ribbon and big red ric rac are from the line, too. Love them! Be sure to stop by the Tea Room for loads of inspiration. Thanks, Debbie, for having me again! I am so excited to be a part of today's Paper Crafts blog hop celebrating Holiday Cards and More! Thanks for stopping by. This is going to be such a great issue. It was fun creating projects for it and now that I've gotten my issue, even more fun seeing all of the amazing things everyone else did! I'm definitely getting into the holiday spirit. I used the new Mitten Weather line by Cosmo Cricket. I'm absolutely in love with it. Cosmo always has the cutest chipboard elements and when I saw this little snowman, I just knew he needed to be holding a banner! 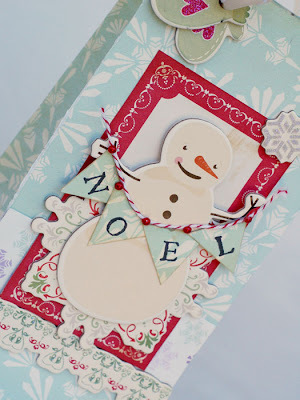 Now for the fun part...You have 14 chances to win a copy of Holiday Cards and More by leaving comments on all 12 designers’ blogs, plus a comment on the Paper Crafts Connection blog and a comment on the Moxie Fab World blog. To win my copy, let me know what YOUR favorite holiday line is this year. 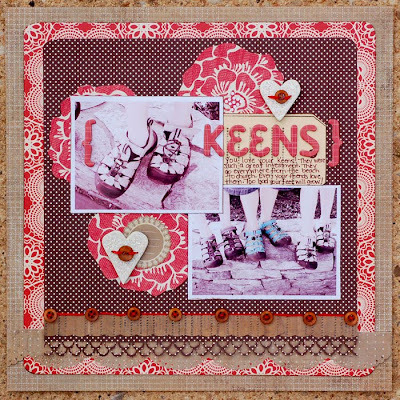 So many cute ones just debuted at CHA, but if there's one from years past that still floats your boat, share that! 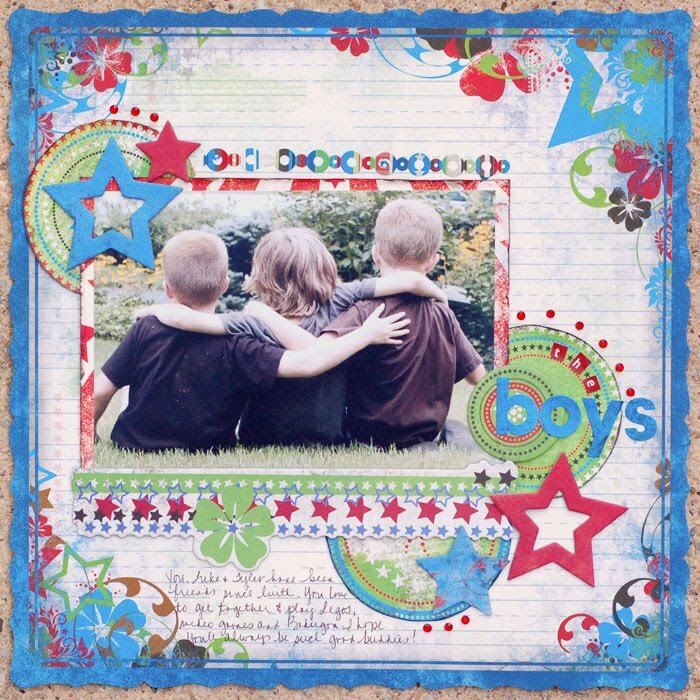 If you'd like to purchase your own copy, you can do so HERE. 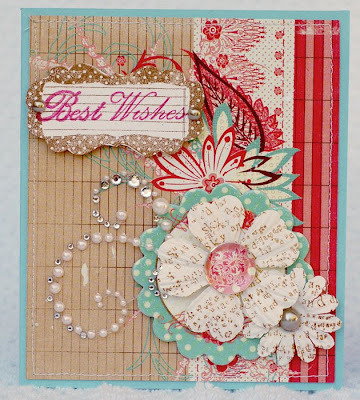 AND, as if that weren't enough, head to the Paper Crafts Blog to see the Grand Prize that one lucky blog commenter will win! Remember, you have 14 chances to win!All comments must be posted by midnight (MDT) on Sunday, Sept. 19. 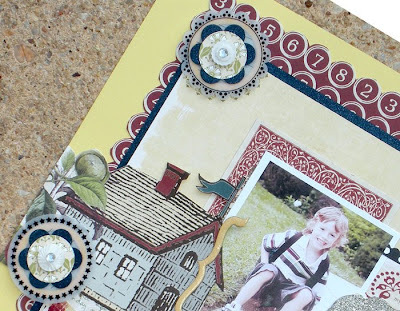 The grand prize winner will be announced on the Paper Crafts Connection blog on Tuesday, Sept. 21. 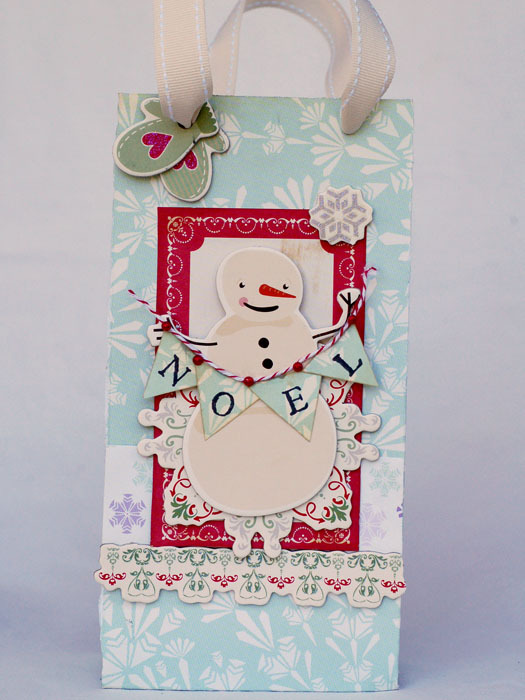 So, sit back, start humming some holiday tunes and get into the spirit with the 12 Designers of Christmas! Sorry it's been so slow around here. I just haven't been able to create as much as I'd like to. Going back to work has really taken a toll on my mojo. I feel like I've fallen off the creativity wagon. Any suggestions for how to get back on? In the meantime, I do have one page to share. 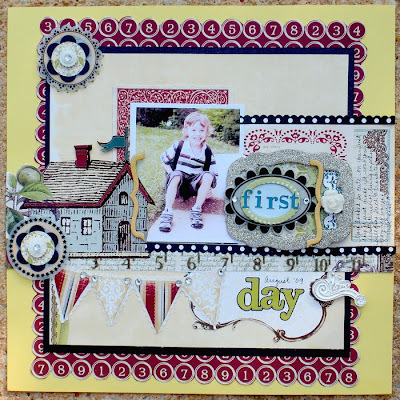 This was done for Prima's September Build a Page sketch. I called it Scrap Cat because Pulu just loves my scraproom. He runs in there and starts playing with all of my goodies! I used Prima's new Paisley Road on this one along with some of the new masks. Be sure to check out the Prima blog for details on how to play along with this month's sketch. Phewww..It's been a long week. My head has been spinning from going in so many directions! I even lost my cell phone at the grocery store, but luckily someone found it and returned it. I'm finally coming up for air. 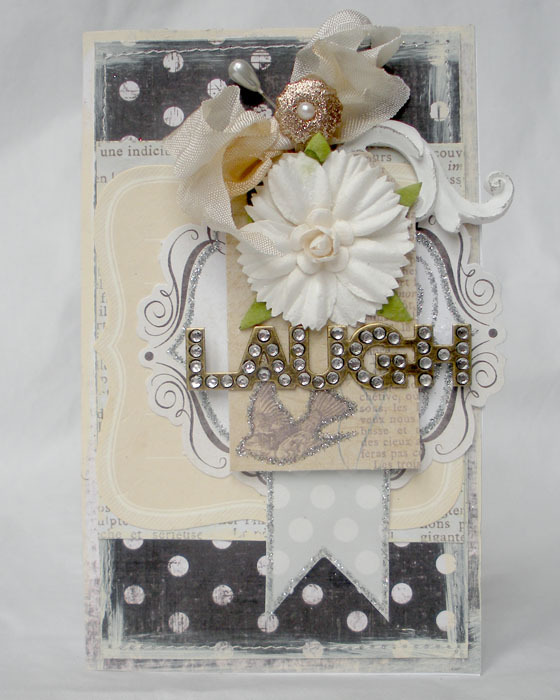 Haven't been able to spend much time in my scrap room this week. But, here's a card that I made recently that I wanted to share. 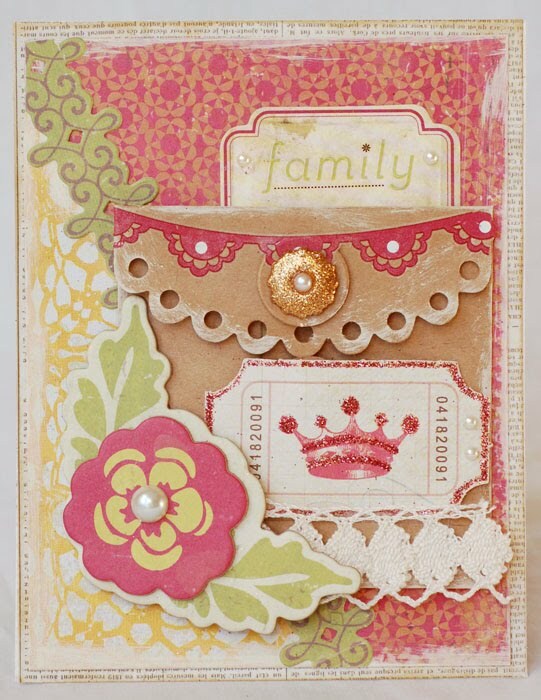 I used a Prima flower, a Melissa Frances chipboard flower, K and Co. die cut and May Arts trim. 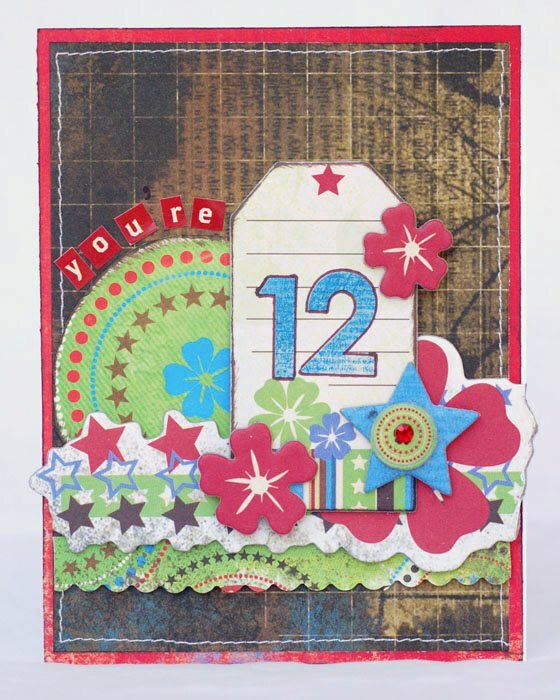 This next card is for Color Combos Galore 159 that went live this week. Here's the inspiration board. I just got some new Bo Bunny Learning Curve goodies, so I used them on here. I added a piece of a Hambly transparency, the button and the floss. Finally, I wanted to let you know that Prima is having a warehouse sale! 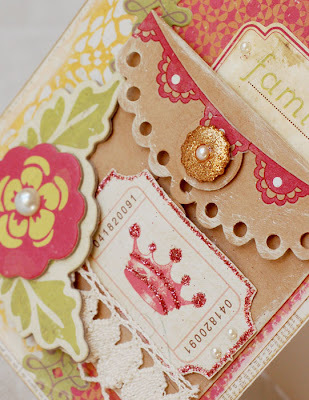 You will be able to purchase pre-made boxes of miscellaneous Prima product at wholesale pricing! There are three box sizes to choose from – all filled to the brim with tons of flowers, felt products, rub ons, papers, and so much more! Go here: Prima Live Warehouse Sale for details. AND if you use the promo code POM you'll get a 6 by 6 paper pad from one of the new release lines! Thanks so much for stopping by! Have a great weekend. Happy Belated Labor Day! We spent the weekend at the shore and had a wonderful time! It was gorgeous and we spent lots of time sitting on the beach, playing on the boardwalk eating and drinking. So, today I'm back to reality. I just have one card for today. 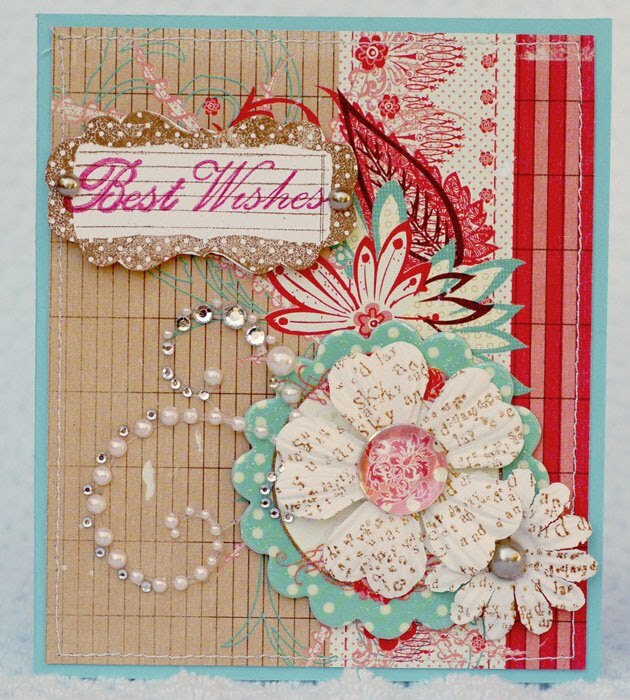 This one was done for Emma's Paperie's color challenge. I used lots of goodies on it including My Mind's Eye paper and die cuts, a Making Memories metal charm and brads, Anna Griffin die cut and a Prima flower. I shabbied it up with some paint, too. Head over to the Emma's blog to see the photo that inspired the card! 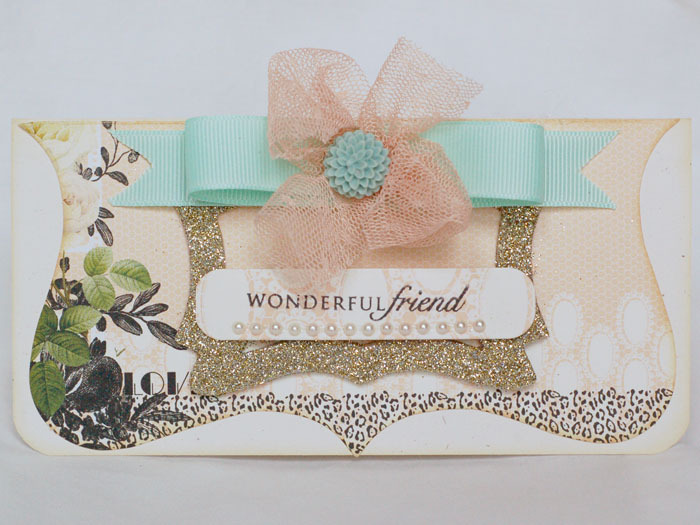 I have a couple of projects to share with the new Wonderfall line from Webster's. I love how versatile it is. 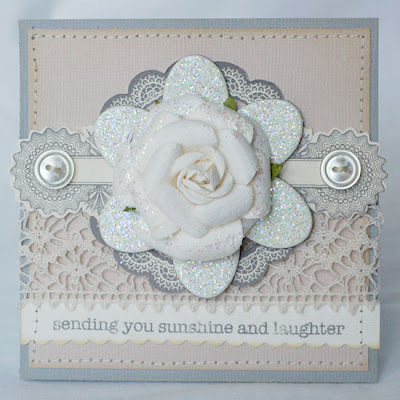 Here's a card I made recently. 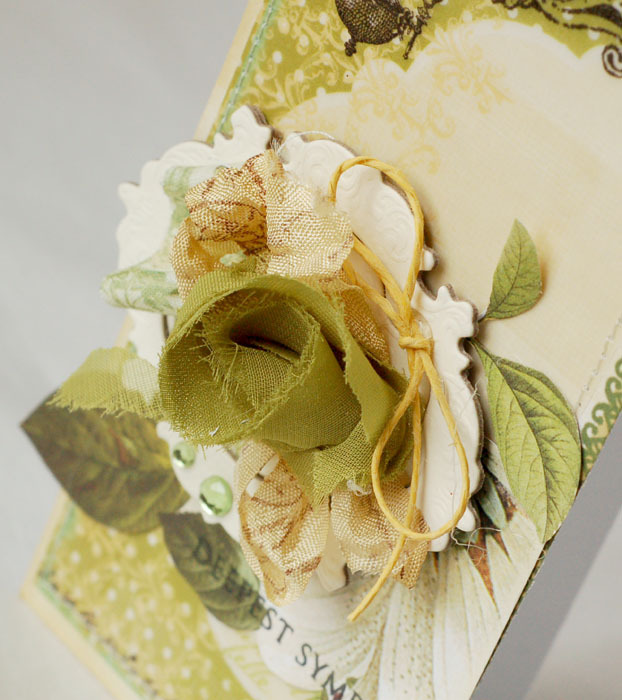 This one uses some vellum from Life's Portrait and, of course my favorite Bloomers/seam binding combo. 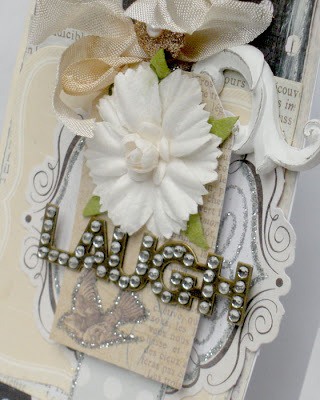 I did some hand cutting and added a Tattered Angels frame along with a bit of fabric ribbon from Websters. 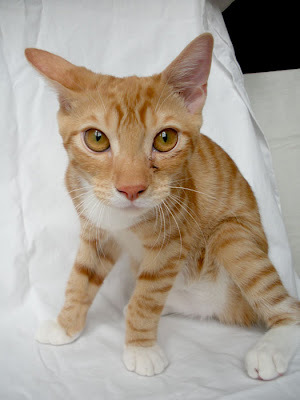 Finally, I leave you with the look of trouble! Here's our sweet 5 month old Pulu. He is a little stinker!! It's a good thing we love him so much. His favorite thing to do is to hide and attack our feet as we walk by. Anytime I try to photograph my projects, he jumps up on the chair and starts chewing on them. I captured this photo of him this morning. The look on his face cracks me up!! Well, we made it through the first day of school. So far, so good. He really seems to be loving second grade. :) And I made it through my first couple of days of being back at work on my regular schedule. I'm working on a new project and I think I'm going to really like it! This week, I had some time to play with some fun Bo Bunny goodies. I used the Block Party line. It's perfect for boy-themed projects! All three of my projects were really quick to make. 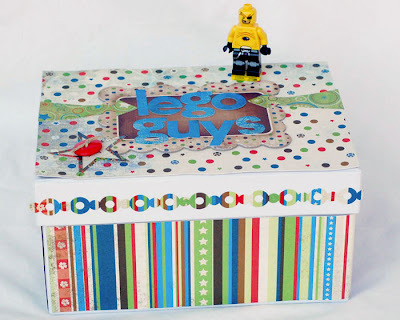 Having the coordinating stickers and chipboard really made it easy to do! 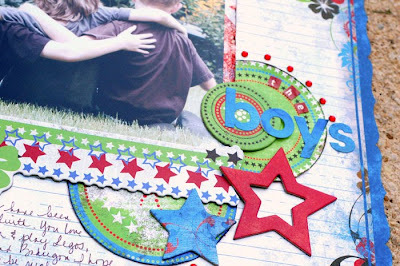 First up is this layout of Ryan and my girlfriends two boys. They've been friends since birth! Finally, I have a project that was made from necessity. We have LEGOs everywhere! So, I decided to make this little box for all of the characters that he has to go along with the sets. His guys now live in this box.